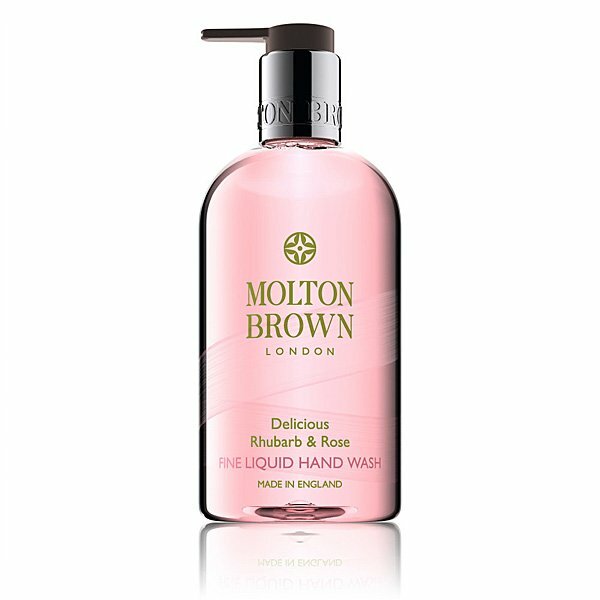 Molton Brown Rhubarb & Rose Hand Wash is London via Yorkshire. A mix of rhubarb with rose and yuzu fruit accord, this hand wash treats your skin to a recipe of tart rhubarb with a citrus twist. A crimson summer tart. Freshly picked roses. Bowls of sugar, spice and all things nice. Vivacious. Fizzy. Tempting. The Blend: Top notes: Tart rhubarb. Middle notes: Gentle rose. Base notes: comforting musk.